For over 25 years, we provide the most beautiful old buildings and other special properties in Wiesbaden and the surrounding areas. Casa domani real estate specializes in old buildings, old villas and modern new buildings in designer style to sale and rent. Our real estate listings include the downtown area of Wiesbaden, Aukamm, Neroberg, Bierstadt, Sonnenberg, Dichterviertel, City Ost, Biebricher Allee, Rheingau and the Rhein-main-area. 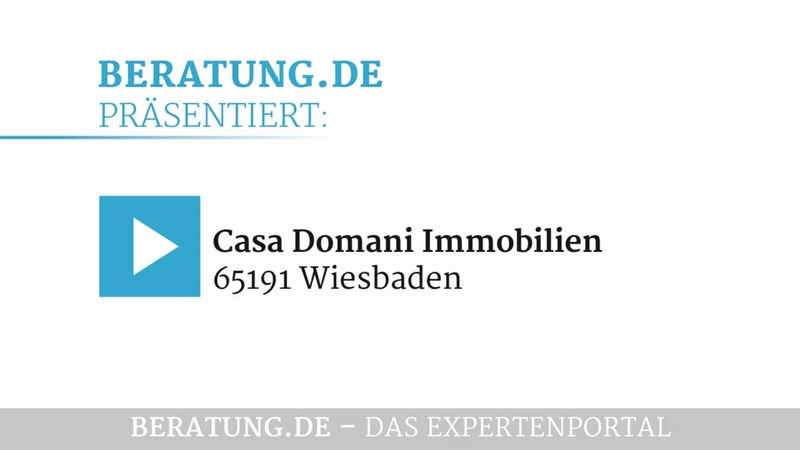 We know the real estate market in Wiesbaden, Germany like no other real estate agent.